Naples after Italy unification underwent a deep crisis, loosing part of its city identity like a capital, as it had been till a few years before. By the loss of its capital role, Naples struggled to find a political stability, and its commissioner’s governments were often. During the 1870 – 1880 years Naples became a national case due to the spreading of a cholera epidemic. Despite Naples had a harbor with a spread trade, was an important university center, had prestigious monasteries, and the presence of an educated bourgeoisie and nobility, it could not act as a motor for the south country. 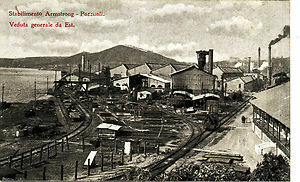 The manufacturing base was minimal, industrial settlements were concentrated in the east town area. The east area was preferred because near to the railroad ( where later Square Garibaldi, Via Foria and Square Carlo III were built) and because being outside the walls import fees were not due, and the plain ground was particularly fit to build sheds and factories. Thanks to these favorable factors there was a proliferation of leather tanneries (famous for the manufacturing of gloves, often processed by the piece at home) and other factories necessary for the presence of the army and due to a strong protectionism. Nearly all invested capital and contractors were foreigner – example Armstrong in Pozzuoli was a British industry manufacturing weapons for the Armies all over the world – because Naples was seen as a big income source for lack of competition. Local contractors were possibly found leading tanneries, or food transformation plants (pasta factories) and tailoring firms. 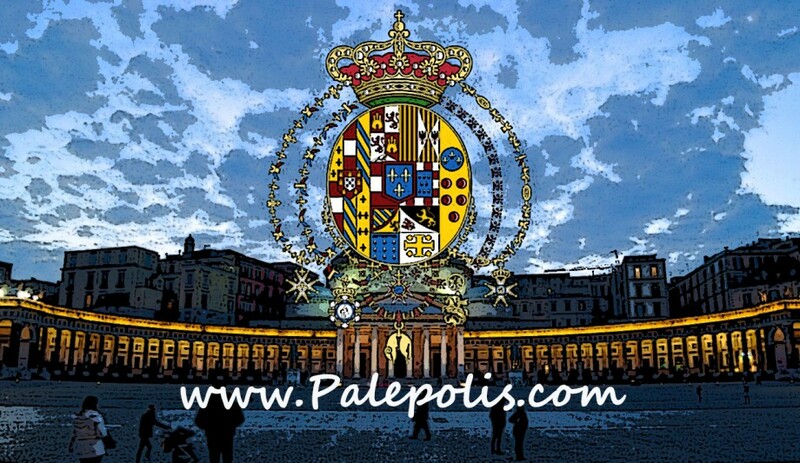 Between 1600 and 1799, in Naples we find a high level intellectual class actively participating into the political kingdom life, cooperating to build up solutions for civil and political problems. After Italy unification Neapolitan intellectuals were put into a background under Rome influence, in spite of the presence of remarkable personalities like F. De Sanctis and B. Croce. A further burdening on post-unification Naples was the demographic crisis that prevented the city to start becoming a modern town. Plans discussed during the first fifteen years after the unification are projects belonging to the Bourbon period (due to the continuous turnover of commissioner’s governments). – the building of Course Maria Teresa, than Course Vittorio Enmanule was started in Bourbon period and finished after the unification! During the last Bourbon phase some road axis were thought enabling the circulation from north to south including causeways making the bypassing easier. Course Vittorio Emanuele and Via Duomo were born just to satisfy this need. – construction of an aqueduct concerning water from Serino river (working was started after Italy unification and went on till the city restoration) in order to replace collection tanks and wells. 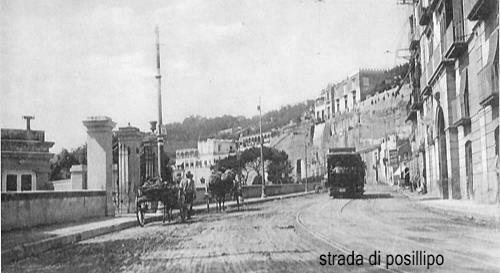 – construction of a seaside street – (Santa Lucia – Mergellina and Posillipo). Before the construction of the mentioned streets there was a coastal area overhanging the sea, whose ground was transformed into a viable road. It formed the Riviera di Chiaia, a representation road identifying the aristocratic district.